About Us - Preferred Meats, Inc. Established in 2007, Preferred Meats is Southern Indiana's premier meat market. 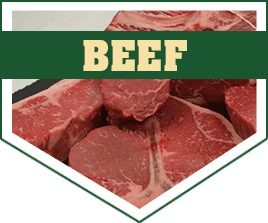 Now known as Huber's Preferred Meats, we are a family owned and operated market and we pride ourselves on selling only the highest quality meats and seafood available. We featured Chairman's Reserve beef and pork, Boarshead Deli meats and cheeses, Miller Amish chicken and the freshest seafood. Dry aged prime beef, prime pork and game meats such as elk, venison and ostrich are new additions to our store. We also make our own pork sausage, chicken sausage and brats in several flavors so you can be ready for grilling season anytime! In addition, our fresh seafood selection changes daily. We are much more than a meat market, having recently added several grocery items like product, beer and local wines to make your meals, tailgate or event complete! Dozens of cuts of the freshest, highest quality meats available in Southern Indiana. Find out more about Chairman's Reserve Beef. 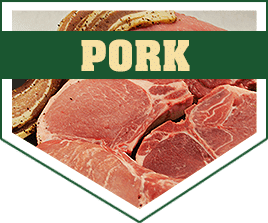 Preferred Meats offers a great selection of pork from a locally-owned market you can trust. Find out more about Chairman's Reserve Pork. Looking for a better selection of chicken than available at your local grocery store? We have everything you need! 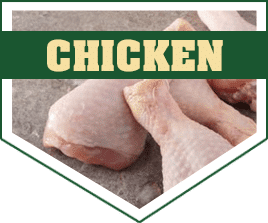 We proudly source our chicken from Miller Poultry. Our products are made of only the finest ingredients: whole muscle beef, pork and poultry, and spices sourced from around the globe. Find out more about Boar's Head Meat.